Кровожадные хулиганы-упыри Voodoo Puppets вызвали загадочного духа Botinki Ra, чтобы вместе издаться на одной пластинке и ощутить вкус свежей крови. Voodoo Puppets поведают нам историю о знаменитом герое интернет страшилок – Палочнике или Тощим человеке (Slender Man) и споют настоящий маньячный блюз с говорящим название “Electric Chair Blues”. А загадочные Botinki Ra исполнят свои потрясающие инструментальные аудио инсталляции звучащие из вне времени и пространства. A squirt of deep atonal vibrant pieces. 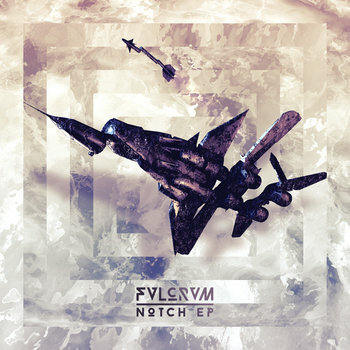 FVLCRVM /ˈfʊlkrəm/ grew up in a church playing jazz and funk guitar, learned to play as many instruments as he could handle, fell in love with synths as a teenager, formed a band with which he plays until now. Started DJing and producing his own tracks with the name borrowed from the coolest jet fighter ever. Pišta Kráľovič aka FVLCRVM is one of the guys for whose using the same pattern twice would never work. Pepperpot is an Amerindian-derived dish popular in Guyana. It is traditionally served at Christmas and other special events. Along with curried chicken, and cook up rice, pepperpot is one of Guyana’s national dish. Pepperpot is a stewed meat dish, strongly flavoured with cinnamon, cassareep (a special sauce made from the cassava root) and other basic ingredients, including Caribbean hot peppers. Beef, pork, and mutton are the most popular meats used, though some have been known to use chicken. Pepperpot is popularly served with a dense Guyanese-style homemade or home-style bread, though like most food it can be eaten however one chooses, be it rice, or roti, though it is not the popular norm. This dish is usually reserved for special occasions because it needs to cook for several hours, and mostly eaten on Christmas Day (like turkey in North America), or during the Christmas holiday season. Like the original Amerindian version it is usually made in a large pot and can be reheated and eaten over several days because the Cassareep starts preserving the meat. Versions of the dish are also served in several other countries in the Caribbean, including Trinidad and Tobago, Grenada and St. Vincent. 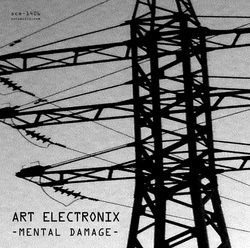 Spatio-temporal distortion experiences translated into sound elements. 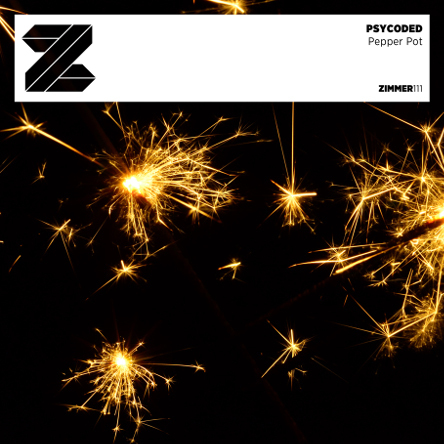 .Zigo has an apocalyptic “Blade Runner” world in his sonic conception. He swings comfortably between sulfuric sunrises, romantic evenings to the cyberpunk distopians. This work, like his others; and many other things that I have enjoyed in concert, has its own peculiar character, the detail that blows the mind and that eccentricity carries it to work every detail like a careless tide, but he has the control, so many years on the path have not made him aloof, and he applies every consciousness, every experience. It shows in the quality of the sound and in the domain of reaching the very edge of the break, without breaking. Tiny pearls invade each of the tracks, and yes, he is one of the masters in this sense, in showing us that heavy noise with delicate sonic touches, that are not lost, on the contrary, he makes them be noticed. In “Drupas migrantes” we hear from the beginning with “Zaxsibulan”, mantric drones that invade, and leave us almost perplexed to wait any longer. We pass through quasi organic states like those in “Drupa” and “Ralokhao”, cyber-robotic moments like “Aeasxoolar” and “Drirl” to descend to the shamanic poetry of “Xeticanteral”. Can this work be classified? It cannot – you can only listen and enjoy- qualifications do not count, just immerse yourself or be engulfed by it. .Zigo without a doubt “is” in past, present and he shows the future, and all this comes together for capture us to hear. .Zigo tiene el apocalipsis Bladeraniano (de “Blade Runner”) en su concepción del sonido. Se hamaca cómodamente entre amaneceres sulfúricos y atardeceres románticos a lo cyberpunk. Este disco, como otros y muchas otras cosas que he disfrutado en vivo, tiene su peculiar sello, el detalle de la voladura de cabeza y esa excentricidad que lo lleva a trabajar cada detalle como en una descuidada marea, pero él tiene el control, tantos años de carrera no le son esquivos, y aplica cada conocimiento, cada experiencia. Se nota en la calidad del sonido y en ese dominio de llegar hasta el borde mismo del quiebre, sin llegar a quebrarse. Diminutas perlitas invaden cada uno de los tracks, y si, es uno de los maestros en este sentido, en mostrarnos ese heavy noise con delicados toques sonoros, que no se pierden, al contrario, los hace notar. En “Drupas Migrantes” oímos desde el comienzo con “Zaxsibulan” drones mántricos que se nos vienen encima para invadirnos y dejarnos casi perplejos para esperar más. Pasamos por estados cuasi orgánicos como en “Drupa” y “Ralonkhao”, ratos cyber-robóticos como “Aeasxoolar” y “Drirl” para descender a la poesía chamánica de “Xeticanteral”. ¿Cómo podemos calificar este disco señores? No se puede, solo se puede escuchar y disfrutar, los calificativos no cuentan en una obra tan completa, solo meterse en ella o ser engullida por ella. .Zigo sin duda está en el pasado, el presente y nos muestra el futuro, y todo conjugado para que lo tomemos, para que lo oigamos. There is not much else that can be said about this release, other than it’s Whitely as you’ve never heard him before, a listening experience that is an experience as much as it is a journey, and that we’re incredibly proud to have this here on TWG. Not necessarily chiptune, but incredible all the same. In sum, these 9 snapshots capture, in a pretty nice way, the first collaboration of those three creative musicians, Paul Mimlitsch – Martin Pozdrowicz – Andre Darius. Enjoy! Golgotha Communications Limited are a Philadelphia-based experimental music group, founded in 1996, who have released numerous works in numerous formats on numerous labels, and have also recorded as FARS, 222, and The pit-grave ensemble. “Wine, Women and Song Vol. 2” is the second installment of the “Wine, Women and Song” trilogy. Seven pure dark ambient themes for sepulchral awakenings or to accompany some autarchist activities. Alvaro Perez (Liquom) sign our new release “Summer 14, 41,” a very deep journey with 4 excellent tracks to make very cool this summer! Tablas, field recordings, voices, bells: Ghost Radio converts his environment into music, backed by an immense Bass. The tracks were created partly in a tunnel in Spain or with friends in India. 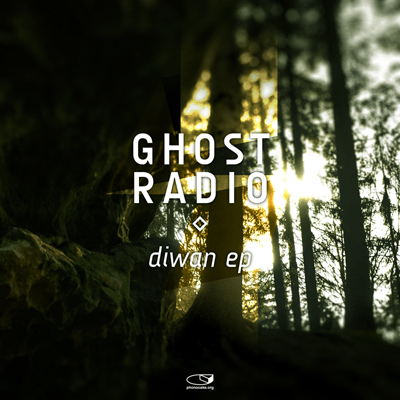 The Diwan EP shows Ghost Radio’s great love for the sound that we have called Dubtechno and dub house for the last ten years, interpreted in small-scale micro-worlds of sound and sound events.